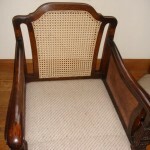 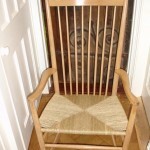 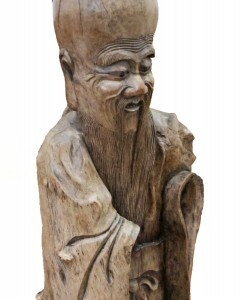 I can repair and replace damaged and missing carving accurately to the original. 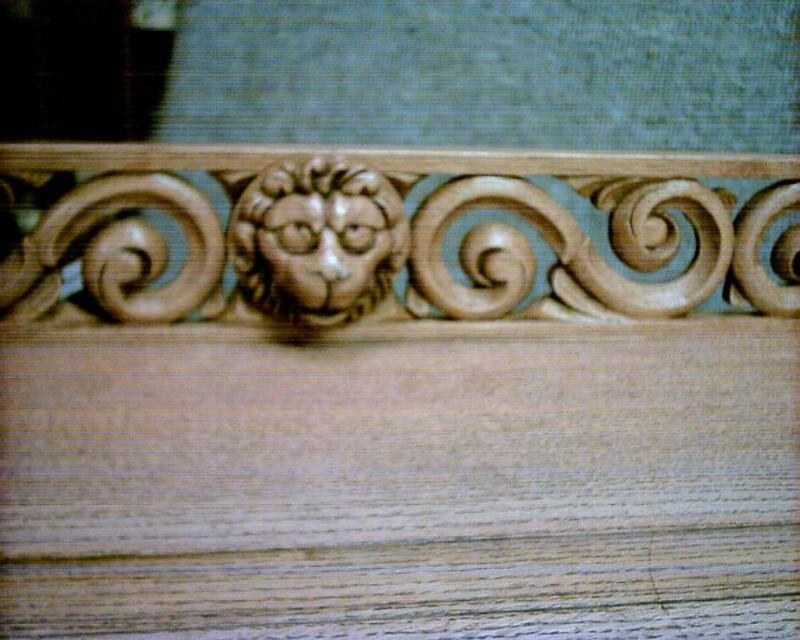 The finish is reproduced to match the original piece of furniture, picture frame or carved sculpture with gilding being offered where necessary. 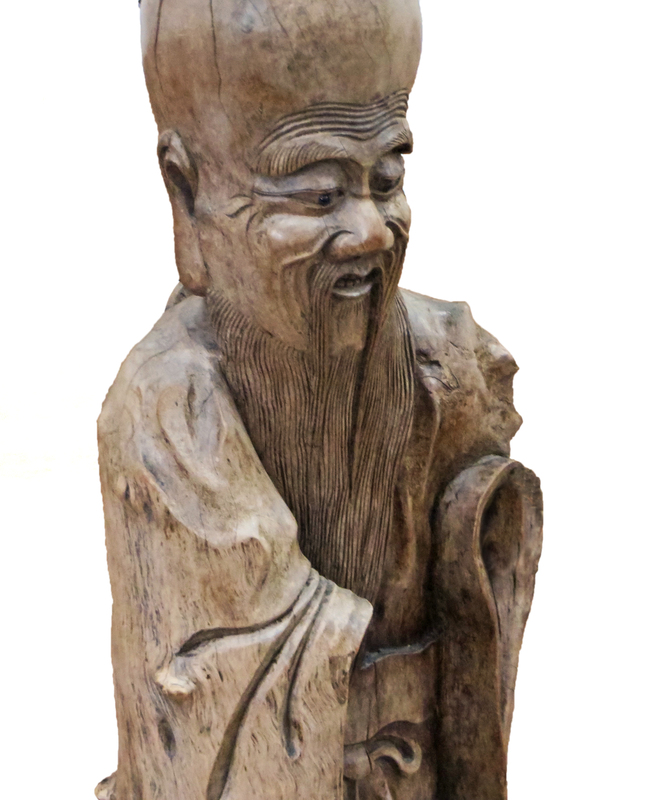 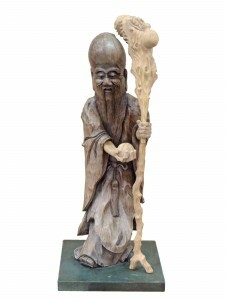 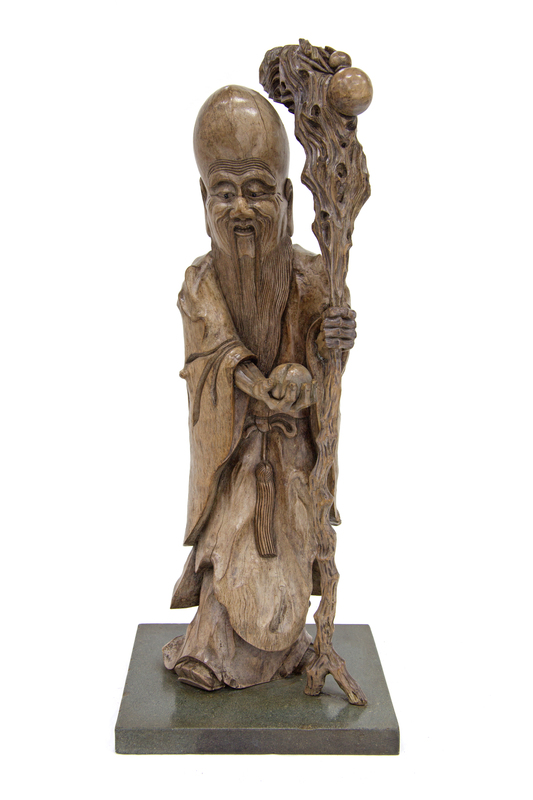 This is a carved statue of the Taoist deity Shou Lao (God of longevity). As you can see from the above photograph it’s arms and staff were missing when it came to the workshop. 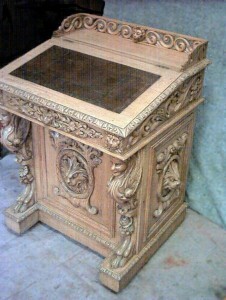 After many hours of carving, colour, polish and age matching the final result can be seen below. 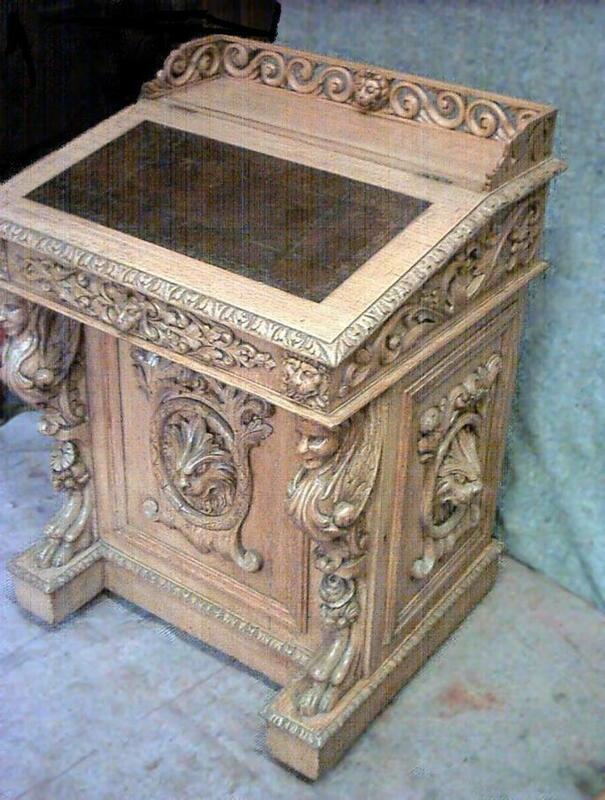 This heavily carved Victorian Davenport had no gallery, so after much research and consultation with the client the above design was agreed and carried out.